Four Blackwater contractors were found guilty today in the shooting deaths of 17 Iraqi civilians in 2007. We get an update from the courtroom. Then, are we making progress against ISIS in the Syrian city of Kobani? In our weekly Internet roundup, we talk about the Whisper app and how it may not be as anonymous as advertised. Then, actor Tony Hale is known for his roles on “Arrested Development” and “Veep,” but now he’s putting on a new hat: children’s book author. And finally, we hear from one of the pioneers of a virtual reality-based treatment for military veterans suffering from Post-Traumatic Stress Disorder. 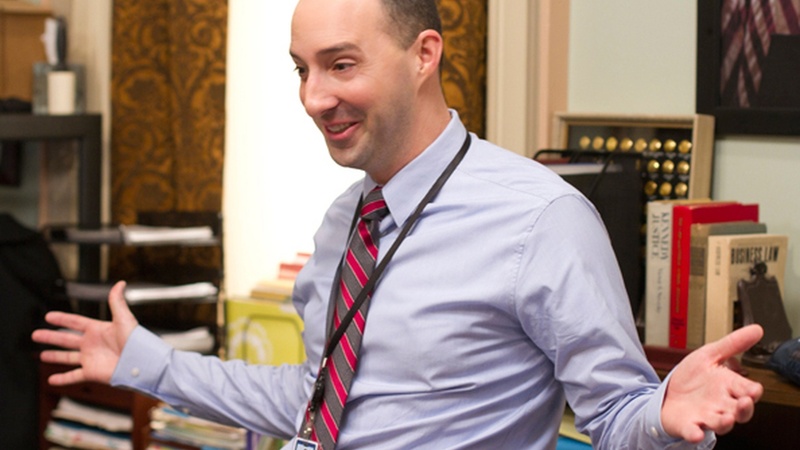 Banner Image: Still shot of Tony Hale in character for "Veep"
Is the Internet Ever Really Anonymous?